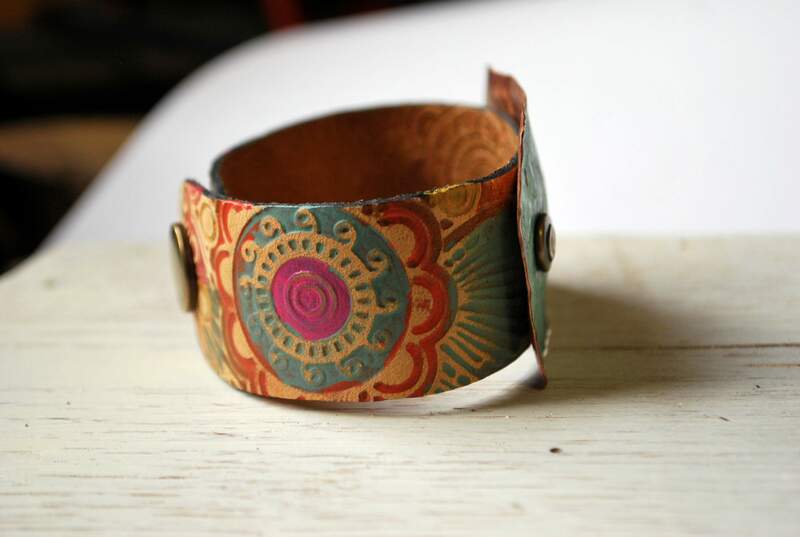 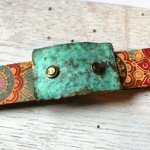 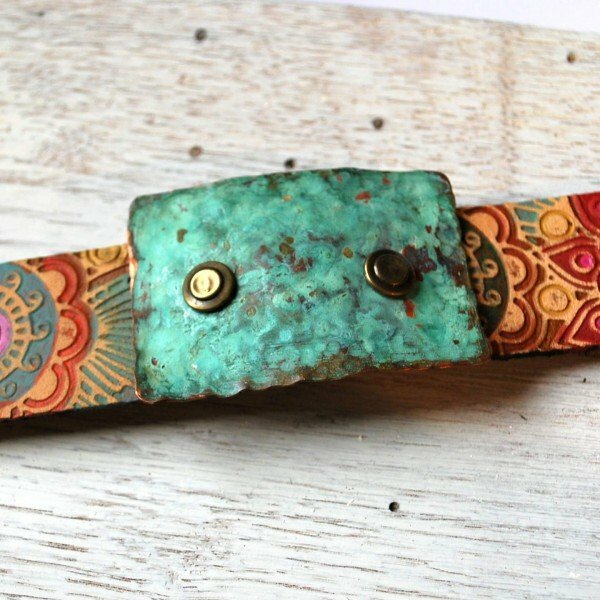 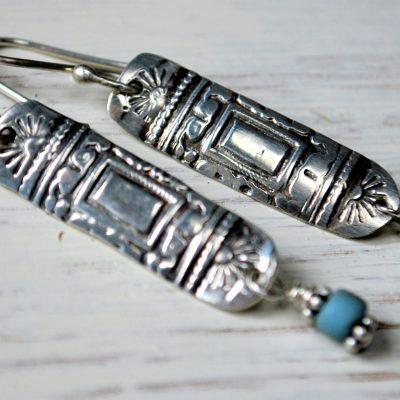 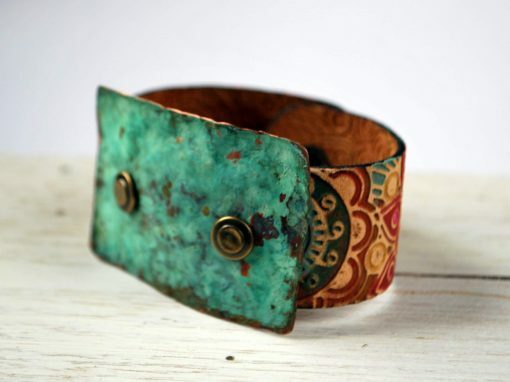 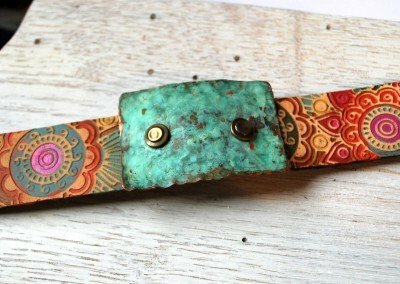 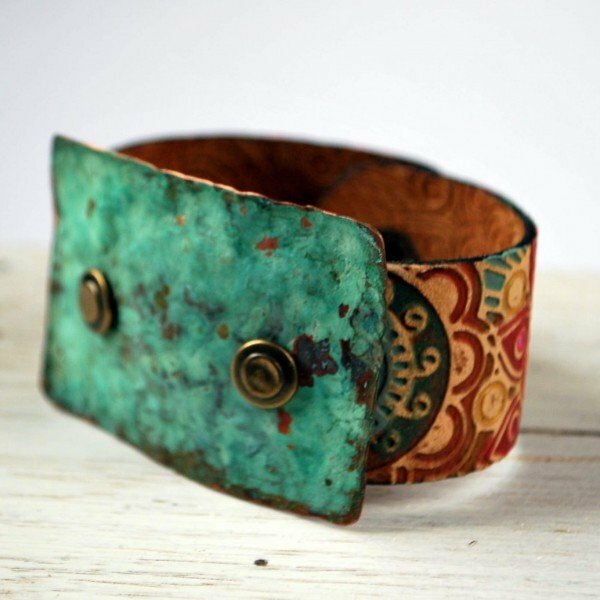 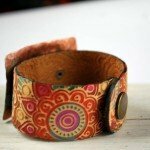 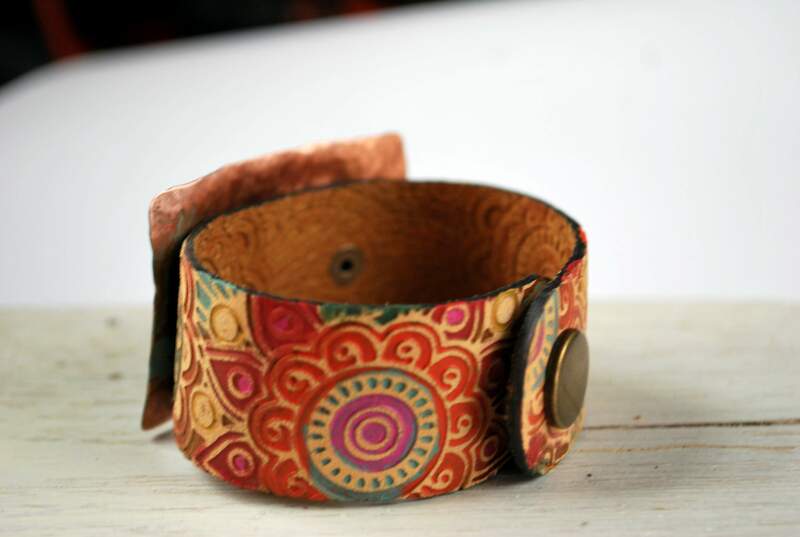 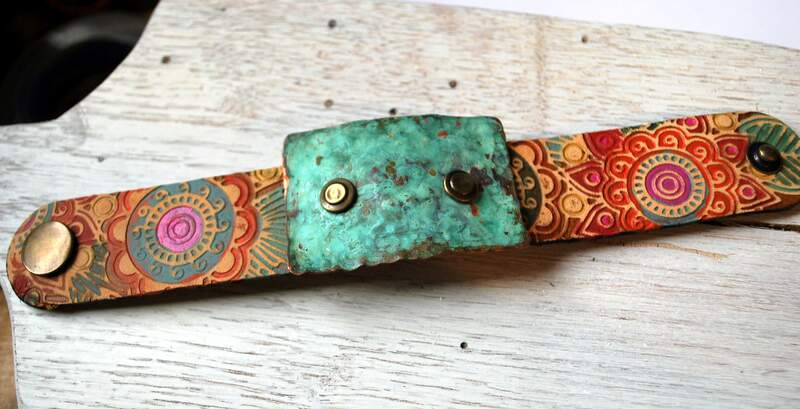 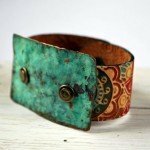 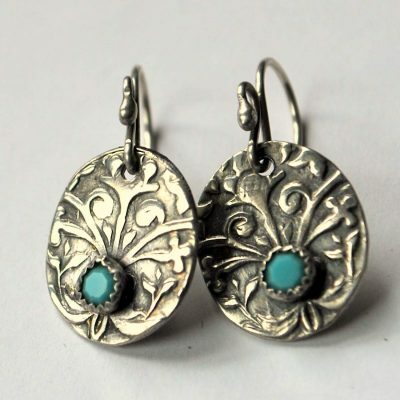 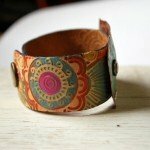 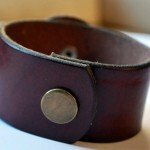 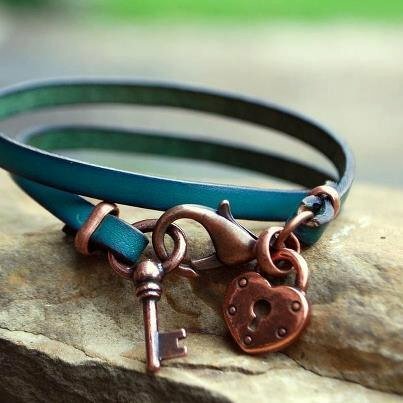 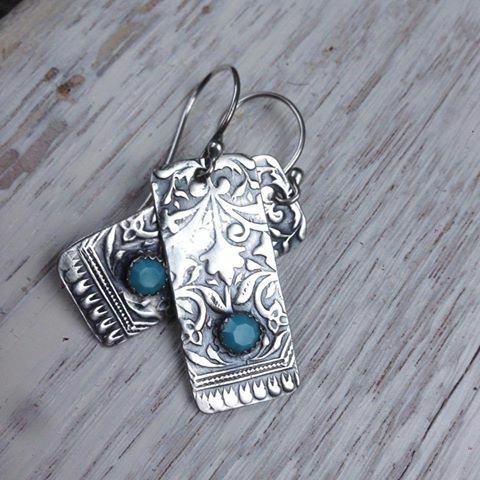 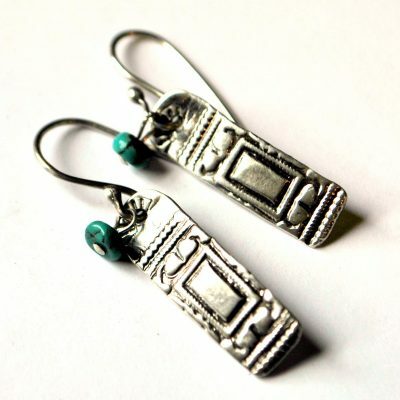 OOAK – A beautiful hammered patina focal is hand riveted to 30mm boho revival leather textured and hand painted cuff. 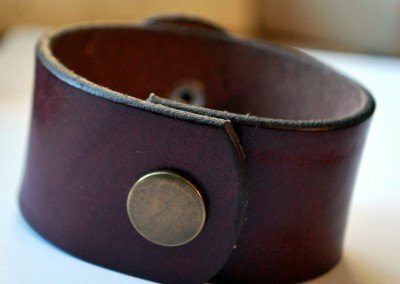 Single snap is antique brass. 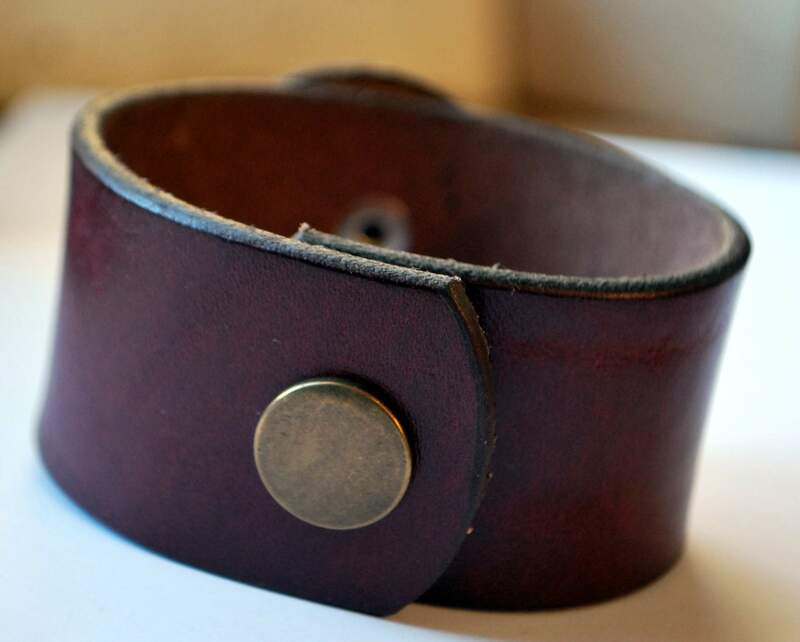 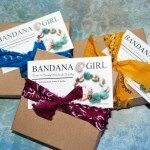 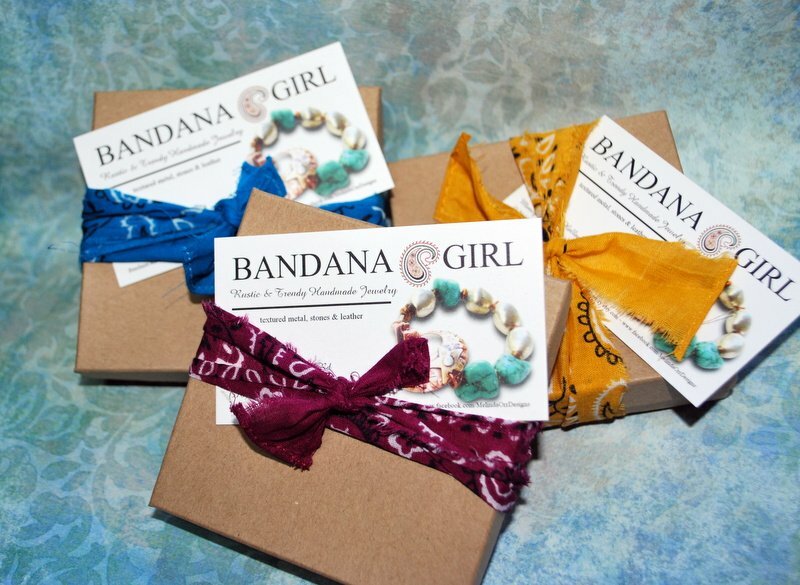 This is a sturdy leather and will soften even more as you wear it…will feel great the minute you put it on!